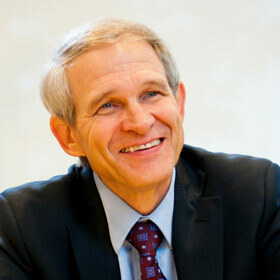 Dave Toycen has retired after 18 years as CEO of World Vision Canada. During his time, the organization saw its revenues rise to over $400 million a year. To what does he attribute that success? Telling stories. That’s one of things he told the Globe and Mail during a recent interview. Of course, it helps that World Vision mostly tells stories about vulnerable children; who can resist? But his comments are still instructive. Story-telling is key to inspiring and motivating people to give. Toycen’s comments about telling stories wasn’t the only thing that resonated with me from his interview. His comments about the state of the charitable sector were also right on. That includes World Vision. Although the organization has seen considerable growth over the past number of years, that growth has slowed more recently. Competition is one reason; another is a decline in charitable giving. Although about 84 percent give to a charity of some sort, around 50 percent of those give less than $125 a year. A friend of mine who is a long-time fundraiser has coined the word “precarity” to describe how many Canadians feel financially today. By that he means many people feel precarious about their economic situations. They may have jobs, but that could change—they could be downsized, the factory could close, their jobs could be transferred off-shore. Plus, many Canadians are employed in part time jobs, or on contracts. If people are unsure about their financial security, there are implications for giving. Toycen was also asked about social media? Isn’t that a solution? Yes and no. Yes, he said, it engages many more people. But no, it hasn’t resulted in higher giving. Toycen also said out loud what all of us in fundraising know—it’s expensive to raise meony. Back in the mid-1980s, when I started in non-profit communications and marketing, few church-related charitable groups employed fundraisers on staff. All we had to do was send out a letter to churches once or twice a year. The churches took offerings, and the money came in. Today, only a fraction of the dollars raised by church-related non-profit groups actually comes from churches. Most of it comes from individuals. This is partly because many churches are struggling just to pay their own bills. Others are busy supporting local charities or ministries or sending money overseas to their own service projects. Add in the decline in church attendance, and there is less money coming to church NGOs. The result? Organizations need to target individuals. That means direct mail, e-mails, sophisticated databases and, yes, fundraisers. At World Vision, they spend 20 percent on fundraising and administration. Other organizations are similar. Again, this is different than when I started, when five to ten percent was normal. Overall, it was an interesting interview. You can read it here.